The Firehall Arts Centre is pleased to present Anosh Irani’s Bombay Black, from Wednesday, December 5 to Saturday, December 15, 2018. 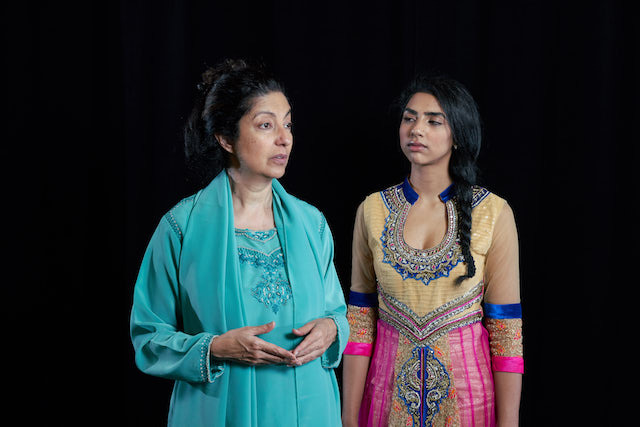 Named one of the top shows on Vancouver stages in 2017 by The Georgia Straight, Bombay Black is a searing play set in the bitter reality of present-day India. The iron-willed Padma (Jessie Award nominee Nimet Kanji) takes money from men who watch her daughter, Apsara (rising star Arshdeep Purba), perform an exotic dance. When a mysterious blind man named Kamal (Jessie Award nominee Munish Sharma) arrives for an appointment, his secret threatens to change each of their lives forever. Directed by Mumbai-born, multiple award-winning Indo-Canadian producer Rohit Chokhani, Bombay Black features a remarkable poetic text, bold theatrical imagery and a gritty twist. Chokhani’s reimagination of Irani’s work marks the first time this play is presented from the perspective of a blind man. An earlier version of this production, which was Chokhani’s directorial debut at the 2017 Vancouver Fringe Festival, enjoyed a sold-out run and received the Pick of the Fringe Award. I will draw one winner at random from all entries at 12:00pm on Tuesday, December 4, 2018. Follow the Firehall Arts Centre on Facebook, Twitter, and Instagram for info. This looks like an intriguing plot.